Welcome to the latest edition of our online newsletter for residents. We hope you enjoy your regular round-up of news from us in Wyredin. We are pleased to announce that now you can choose to hear even more regularly about the services that you value the most. 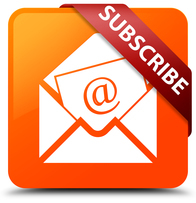 It is free to subscribe to any of the email news topics and you can manage your subscriptions at any time. There are a few changes to bin collections over the festive period. 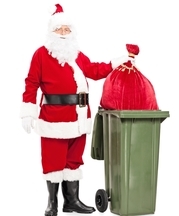 If your bin is due to be collected on Tuesday 25 December (Christmas Day!) it will be brought forward and emptied on Saturday 22 December. If your bin is due to be emptied on Wednesday 26 December it will be emptied on Saturday 29 December. And we will not be collecting on Tuesday 1 January – these bins will be emptied on Saturday 5 January. Please put your bins out by 6am. Our customer service centre will be closed on Monday 24, Tuesday 25 and Wednesday 26 December. It will be open as normal on Thursday 27 and Friday 28 December. It will also be closed on Monday 31 December and Tuesday 1 January. It will reopen as normal, from 10am on Wednesday 2 January. If you’re looking for unique gifts for your loved ones or Christmas-themed events for the little ones, then look no further than Bewdley Museum. The gift shop will remain open from 10am-4.30pm until Sunday 23 December. There are also Christmas craft sessions at Bewdley Museum and in Kidderminster Town Hall – simply visit the festive page for the full round up! Don’t forget our festive parking offer runs until Sunday 6 January. You can park for free after 4pm in all council owned car parks. Please note Weavers Wharf is not council owned and so the offer does not apply there. Later this month we will be launching our annual budget survey – which gives you the opportunity to let us know what you think about our spending proposals for the new financial year starting in April. This will include our proposals for the portion of your council tax bill that funds district services. We collect council tax on behalf of Worcestershire County Council, West Mercia Police, Hereford and Worcester Fire Rescue Service, town and parish councils. Most of the money you pay goes on these services, but we keep around 12 pence in every £1 to pay for things like waste and recycling, housing, planning, culture and leisure. Look out for our online budget survey which will be live on our website from Wednesday 19 December and will run through until the new year. Our Big Energy Switch is back. This is your chance to see if you can reduce your energy bills by swapping your supplier. We have teamed with iChoosr to run another collective energy switching scheme. It is hassle free and we aim to get you a great deal from energy suppliers by using group buying power. People who took part last time saved on average £203 a year. You need to register by Monday 11 February and within a few weeks you will receive a personalised offer telling you how much you could save by switching. It’s entirely up to you whether to switch and you are under no obligation to do so. Registration opens tomorrow (Tuesday 4 December). Time is running out for you to submit comments on our Local Plan before it is submitted for government approval. The Local Plan sets out how much development is needed up until 2036 and where it should be located. The main way the council is planning to deliver housing growth is with a new village at Lea Castle and an extension of Kidderminster to the east of the town. We have already run 8 drop-in sessions and spoken to around 750 people.The deadline is 5pm on Monday 17 December. Following a new law change landlords of shared houses have a duty to make sure that the property is suitable for occupants and the licence holder is ‘fit and proper’. Residents and their families in unlicensed shared properties may be suffering in unsuitable conditions, which is why we want residents to come forward and contact us if they suspect their property is not fully licensed. You can also email privatesectorhousing@wyreforestdc.gov.uk. Please wear a White Ribbon and show your support for the annual campaign highlighting all forms of domestic abuse. The campaign, being coordinated locally by Safer Wyre Forest and Wyre Forest District Council, runs from Saturday 24 November, the International Day for the Elimination of Violence Against Women, to Monday 10 December, International Human Rights Day. Looking for wedding venue ideas? Join us for our Heritage Wedding Fair at Kidderminster Town Hall on Sunday 3 February 2019. It is the perfect opportunity to help you plan your big day with more than 20 local exhibitors including florists, photographers, cake and dress makers present. You can also check out the variety of reception rooms available. Wishing you all a very Merry Christmas and a Happy New Year. WyredIn will be back in February, but in the meantime you can subscribe for more updates from our teams today!